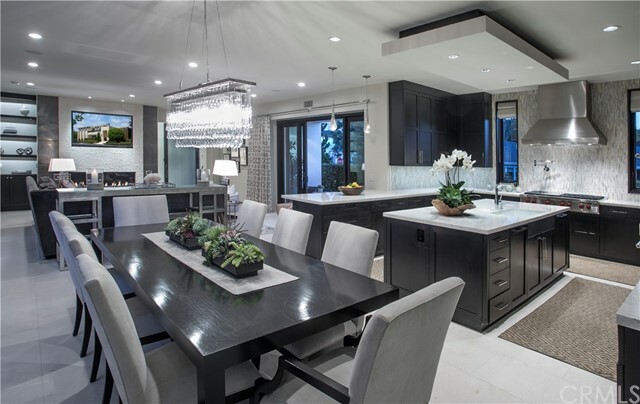 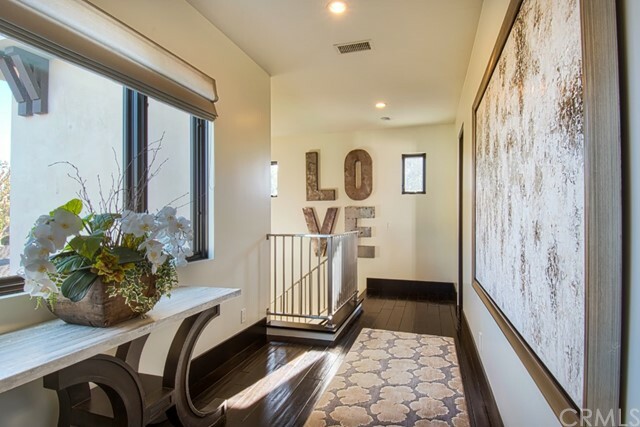 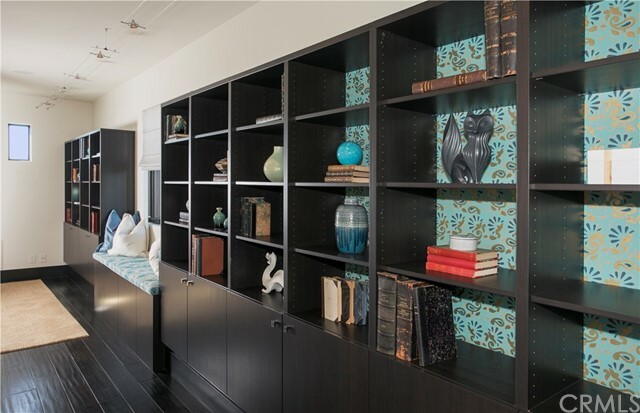 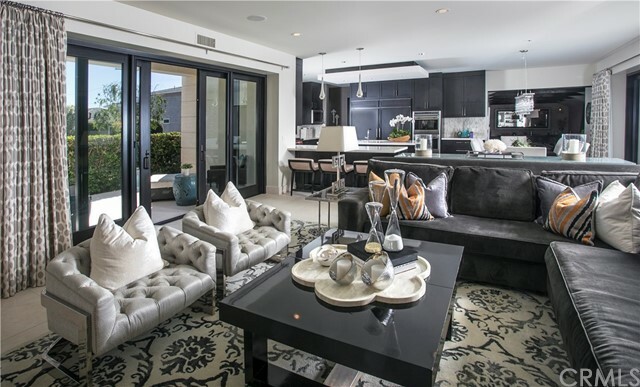 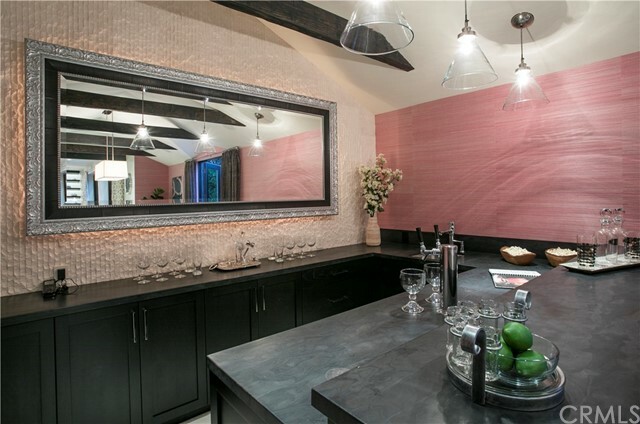 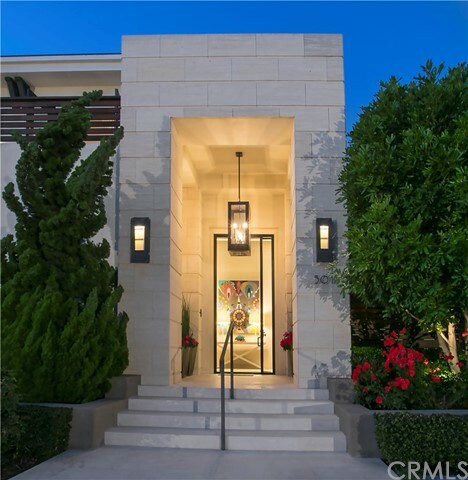 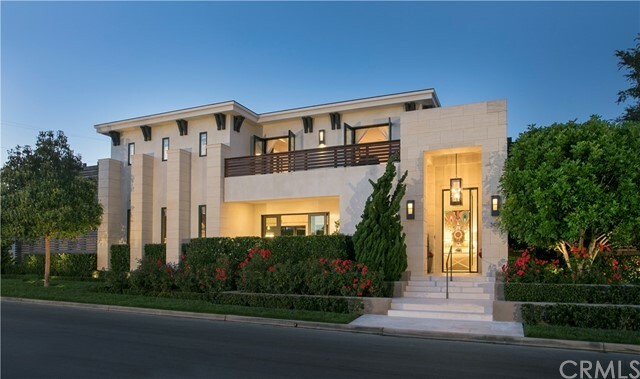 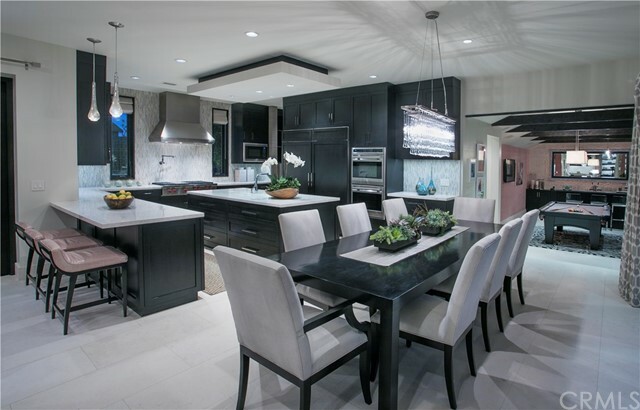 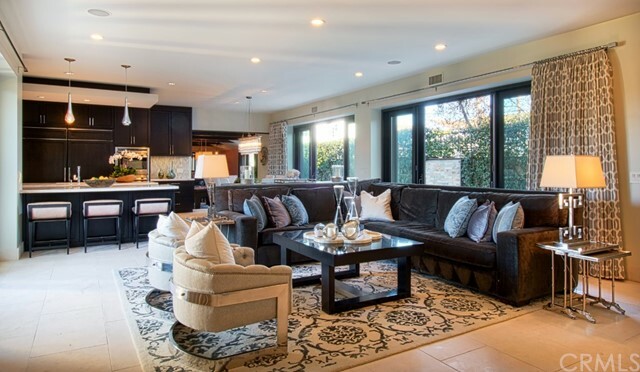 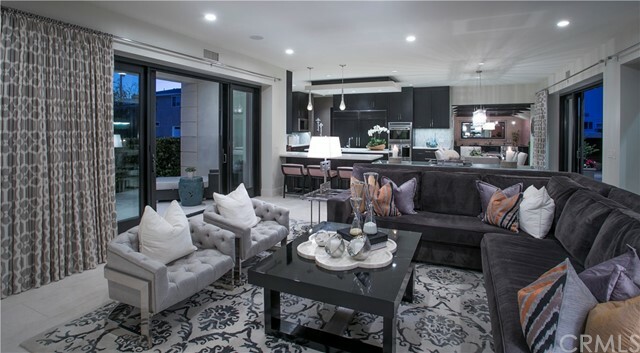 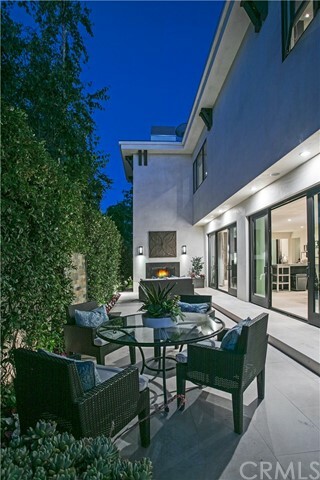 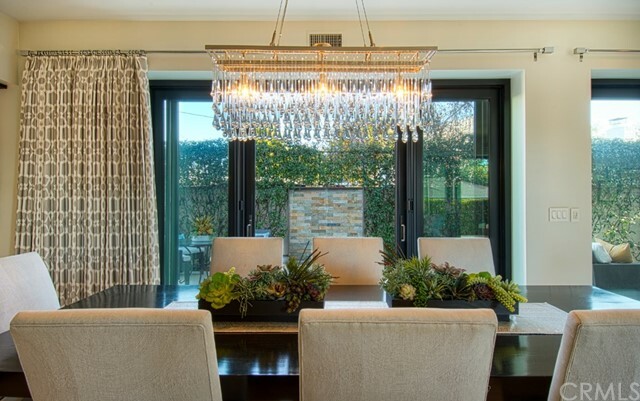 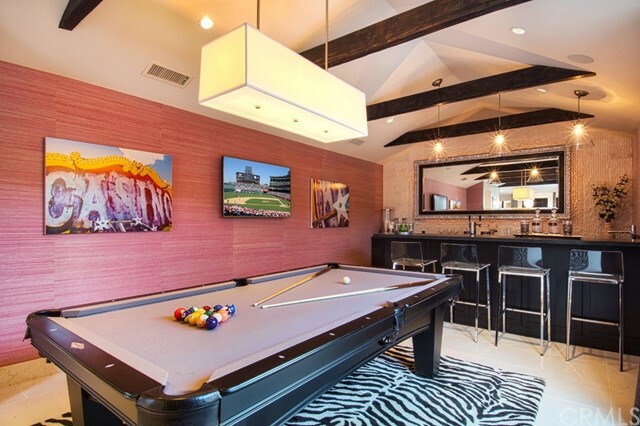 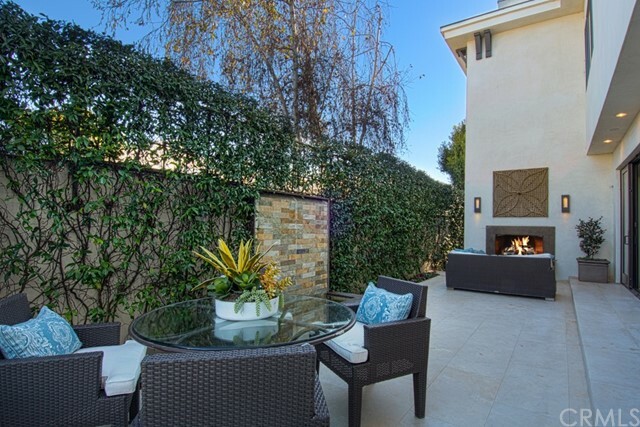 Offered furnished, this stunning home is a modern masterpiece of design and finishes. 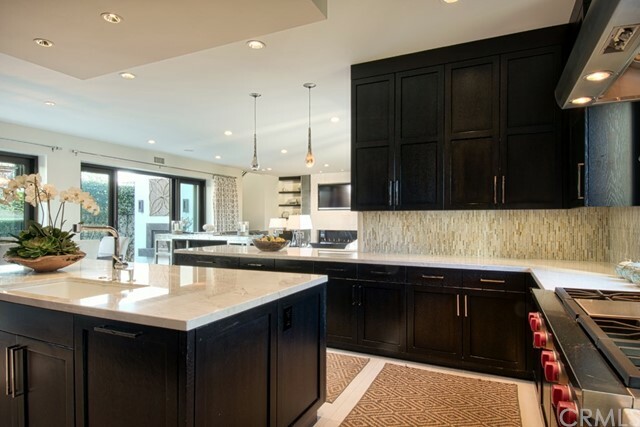 Its distinctive exterior of European limestone and Ipe hardwood are only the beginning. 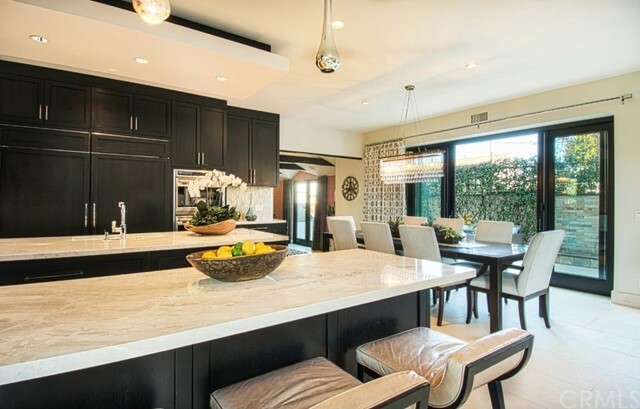 Finishes include Walker-Zanger mosaics, counters of French vanilla cream marble and black leathered granite, along with fireplaces of Thassos marble, chiseled stone and metallic tile. 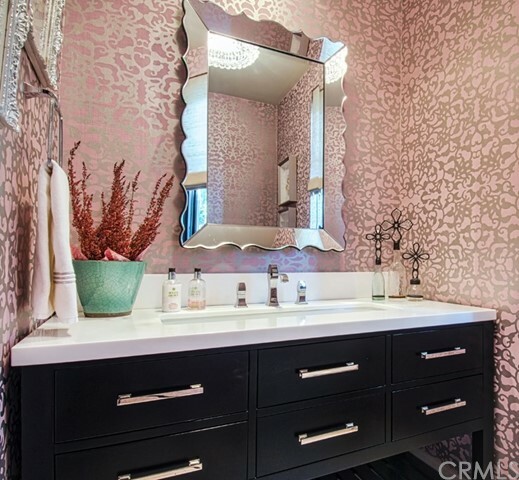 Wall coverings and draperies by Schumacher and Barbara Barry are luxurious and beautiful. 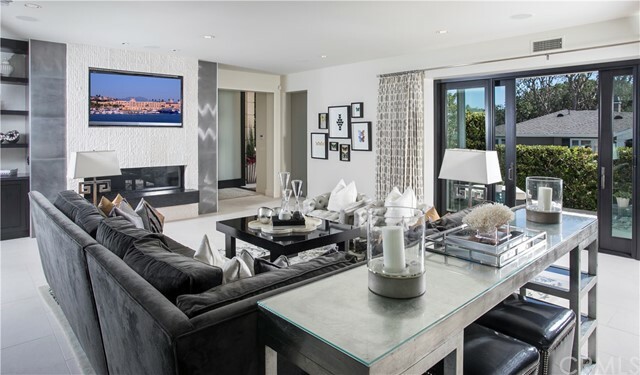 Large format stone flooring grace the first floor with two spacious patios on either side of the main living area creating a perfect balance of indoor and outdoor living. 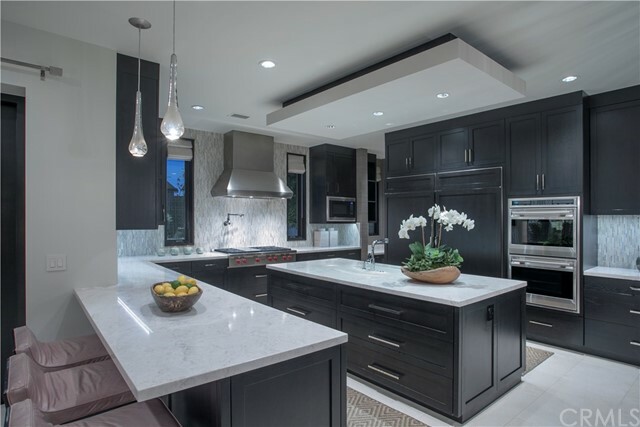 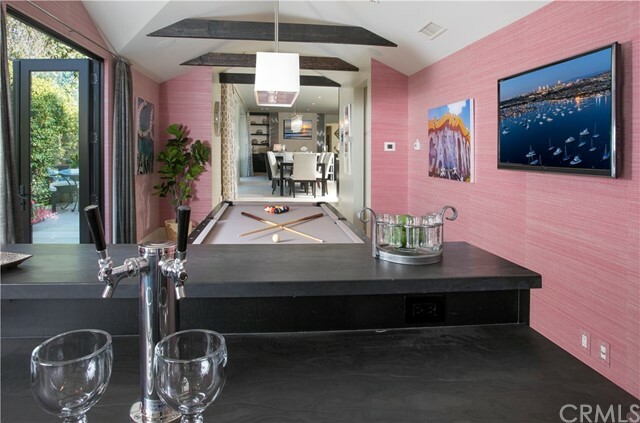 The island kitchen offers Wolf and Sub-Zero appliances, while the bar is complete with dual tap Kegerator, clear ice machine and wine storage. 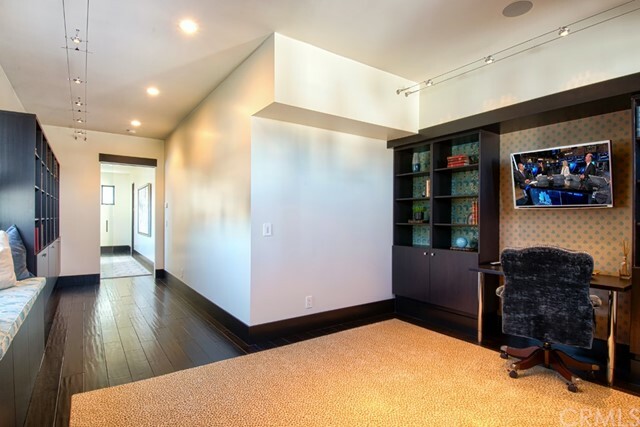 Distressed walnut flooring adorn the second floor along with the master suite and stunning office/library which can alternatively be used as a fourth bedroom or gym. 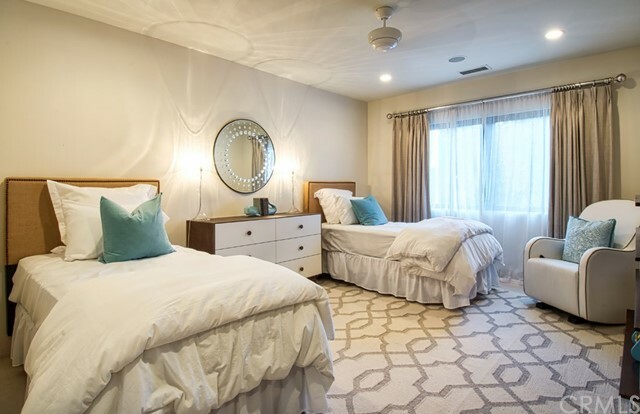 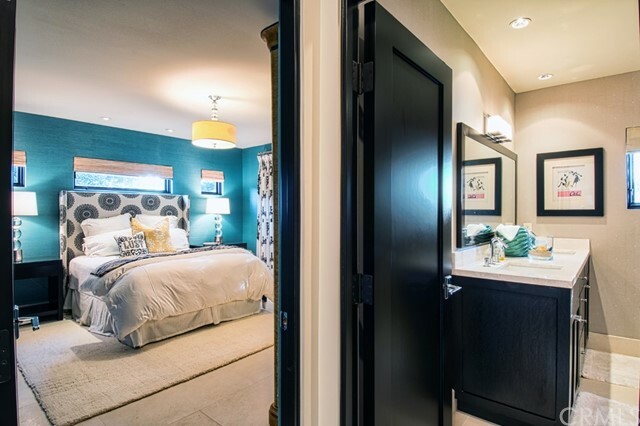 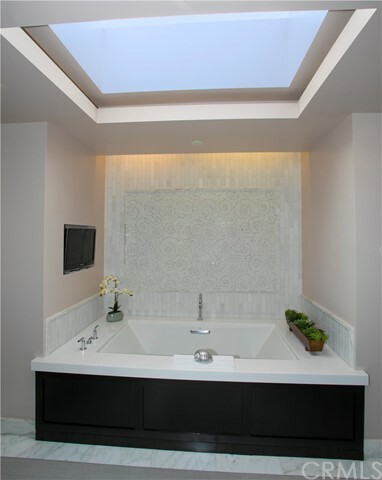 The spectacular master suite has a fireplace, balcony, large walk-in closet, air-jet tub and steam shower. 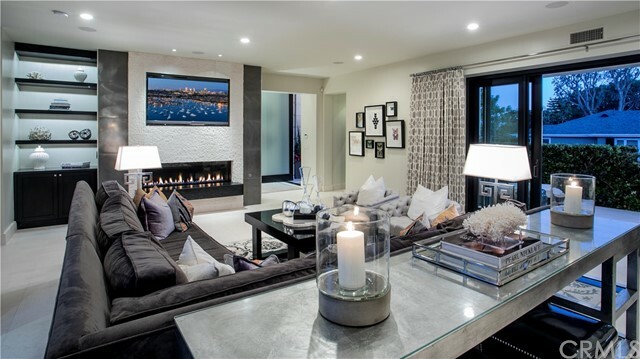 A Crestron home control system along with interior/exterior audio are installed. 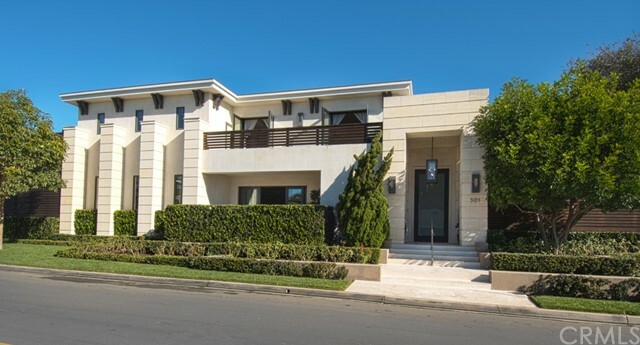 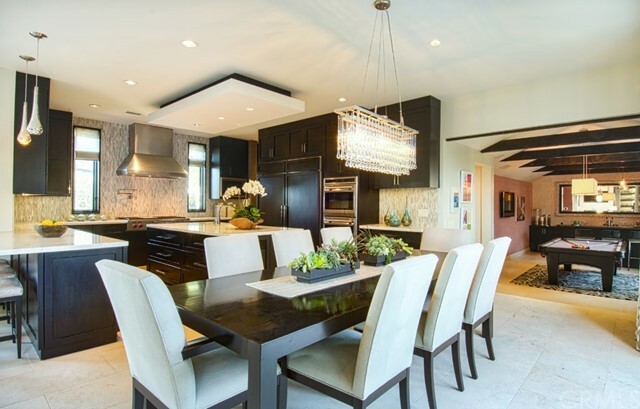 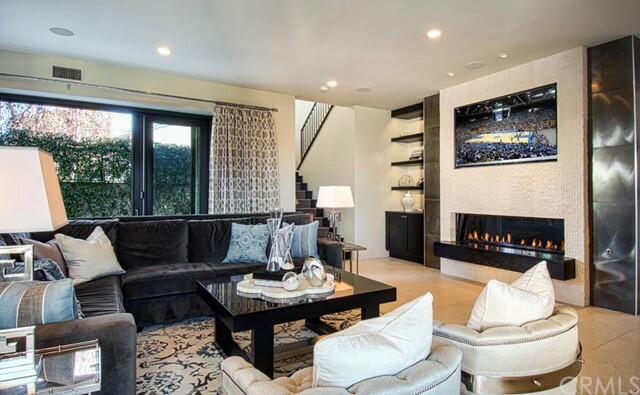 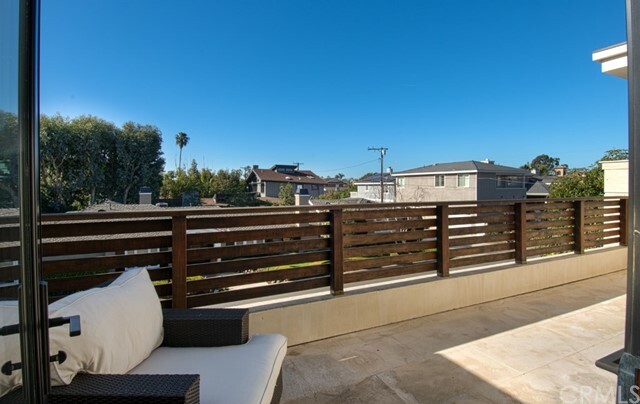 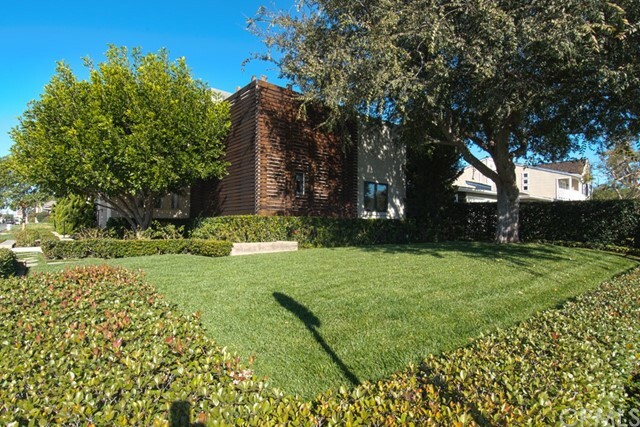 This iconic, modern styled home ranks among the most beautiful in Newport Beach.